Current Polish... Outer Space Nails!! Sally Hansen #110 Clear'd for Take Off..
And I loved the end result! 4 comments on "Current Polish... 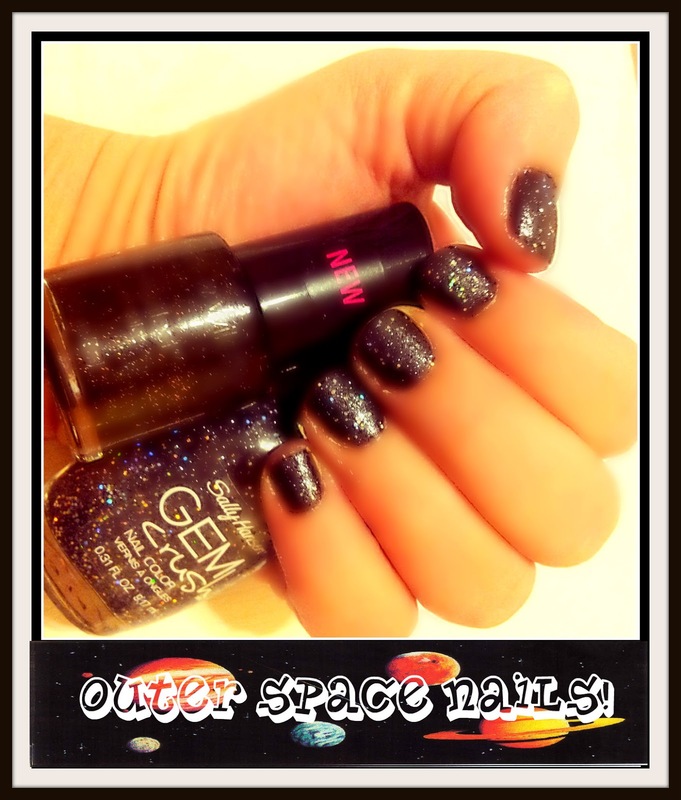 Outer Space Nails!!" This is very pretty. I like how it is like a galaxy nail manicure, but a lttle simpler. All the shimmery glitter!